Holly cow, twenty-two years later and this game is still as amazing as ever. 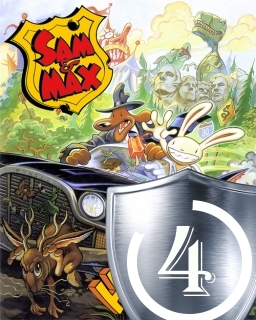 If you thought Monkey Island was good, you better check Sam & Max out; I can barely believe Sierra was actually considered Lucas Arts’ competitor at this point (oh right, they had Gabriel Knight). SamnMax and Day of the Tentacle were superb games in the early 90s, and they still are. And both totally nailed the wacky humour. But I wouldn’t completely write Sierra off, because they’ll always have Gabriel Knight. Yeah, it seems I had momentarily forgot Gabriel Knight when I wrote that, and was only thinking King’s and Space Quest. GK series were really awesome, too.